Most of us, the first time around the publishing block, have a clear vision of life as an author. We see ourselves holding our new books in one hand while raking in thousands of dollars in royalties or profits with the other. What a shock to discover that your wonderful book – the manuscript into which you poured your heart and soul – isn’t flying off of bookstores shelves into the hands of eager readers. The fact is that you may not even find it in bookstores at all. 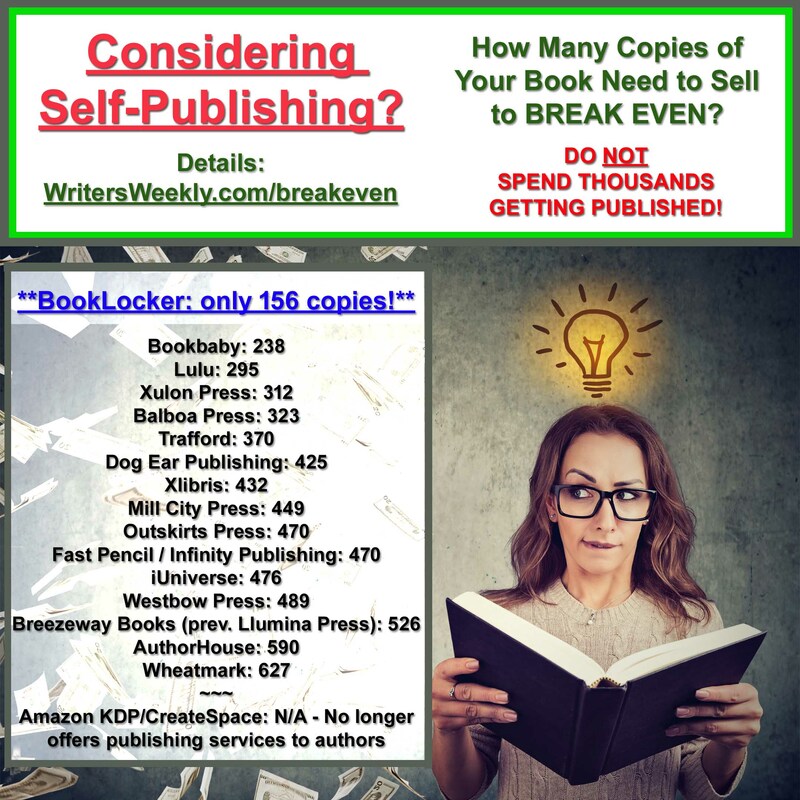 If you’ve spent any time around writing/publishing websites and conferences and if you’ve been reading books and newsletters by writing/publishing professionals, you know that producing a book does not automatically mean sales by the millions. But, then, your book is different. You’re aware of the rules/policies, but you so believe in your project that you can’t bother with these incidentals. These things apply to all of those lousy writers out there with weak books. Excuuuuse me! Have you surveyed the level of competition for authors, lately? Are you aware that there are many wonderful books going unnoticed while some poorly written books are grabbing the spotlight? And did you know that the number of readers eager for good books is paling in comparison to the number of books currently being produced? More than ever before, it is essential that you (the hopeful author) plan your marketing strategy even before you finish writing that book. And your strategy must go beyond local booksignings, a mailing to your list, adding your book to your personal website, getting an article in the local newspaper and doing a few speaking gigs. Why are you writing this book? Who is your audience? What do you wish to accomplish with your book? Is it a novel intended to entertain? Or do you hope to teach, inform, inspire, share, guide or make a difference through your book? I met an author recently who admitted that his book sales are flat. He has been promoting it for months and had sold only a few copies. After evaluating his book, I recommended that he make some changes before having more books printed. You see, he considered his book a self-help recovery book. In reality, it was a poorly-written memoir – a rambling account of his life problems with no real solutions, suggestions or assistance for the reader. A book on “How I did it,” isn’t necessarily useful to others. As I’ve written many times in my books, hundreds of articles and my blog, your platform is your following, your way of attracting readers. Who needs a platform? Every author who wants to sell books. Think about it; if you want to buy a book on sports statistics, you would choose one written by someone with a track record in this topic, right? If you had to choose from a dozen novels, you’d probably pick the one by an author whose name you recognize. I would venture to guess that Rachel Ray and Paula Deen sell more foods and cooking books than any unknown cookbook author. Can you understand the point I’m making here? The competition within the realm of bookdom is absolutely fierce. In order to succeed with your book, you must have a strategy and part of that strategy is a platform. What should a hopeful author do in order to establish a platform? Build on your experience. Keep studying, learning and participating in projects, programs, websites, etc. related to your topic/genre. Become an expert. Utilize what you learn and continually expand on it. Become widely known. 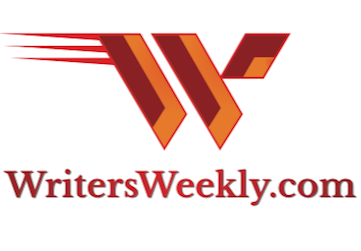 Get your name out there through articles/short stories pamphlets/booklets, promoting your website, speaking engagements, participating in appropriate conferences and other programs and projects. Even though you may believe that your book is ready to be presented to the world, you may not be. I sometimes work with clients who want to put the cart before the horse. Their manuscript is ready, but they are not. They aren’t quite prepared to approach publishers or even to produce the book themselves. Why? In one case, the author had a wonderfully promising book. I believed that it would interest a major publisher and she hired me to prepare her for her initial introduction to the biggest of the big ones. Her book proposal was impeccable – very well-organized and well-written, except for one thing. She had not proven the process about which she wrote in her book. In her book, she was presenting a completely new teaching technique, but she had never tested it – not once, not even with a small group of people. Furthermore, the promotions part of her book proposal promised publishers that she would present major seminars world-wide during which she would sell thousands of copies of her book. Yet, she had no proof that she could do this – not even a smidgeon of it. I advised this hopeful author that she was not ready to present her project and that if she did it now, she was facing probable rejection. I strongly recommended that she go out immediately and teach her concept in smaller groups and see how it goes. She may need to perfect the process based on student feedback. Then I suggested she organize a seminar for a large group of people. If this wasn’t successful, she needed to go back to the drawing board. If it was a success, she had the proof she needed to help sell her project to the publisher. Another client had a manuscript featuring tips for attaining and maintaining sobriety through Christianity. He planned to sell this book through Christian bookstores, hospital gift shops and at the back of the room after his presentations. I suggested, however, that he position himself as an expert before he brings out his book. How? He had battled the bottle for years before choosing sobriety. Why not write his memoir, first? He could build a website, submit articles for publication, go out and tell his story to groups, volunteer with appropriate organizations – in other words, become known within the realm of his topic BEFORE presenting his book to the public. 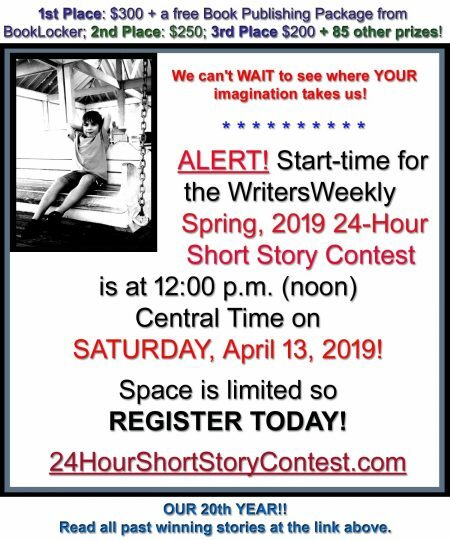 Do you have a purpose and a platform for the book you are writing, have written or dream of producing? What will entice readers to buy it instead of any number of others? If you want a guaranteed readership, start now establishing your expertise within your topic. Get the kind of exposure that will align your name with your genre. And establish a clear purpose for your book before you put pen to paper. 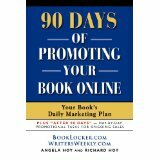 Patricia Fry is the author of 27 books including her newly revised “The Right Way to Write, Publish and Sell Your Book” http://www.matilijapress.com/rightway.html. 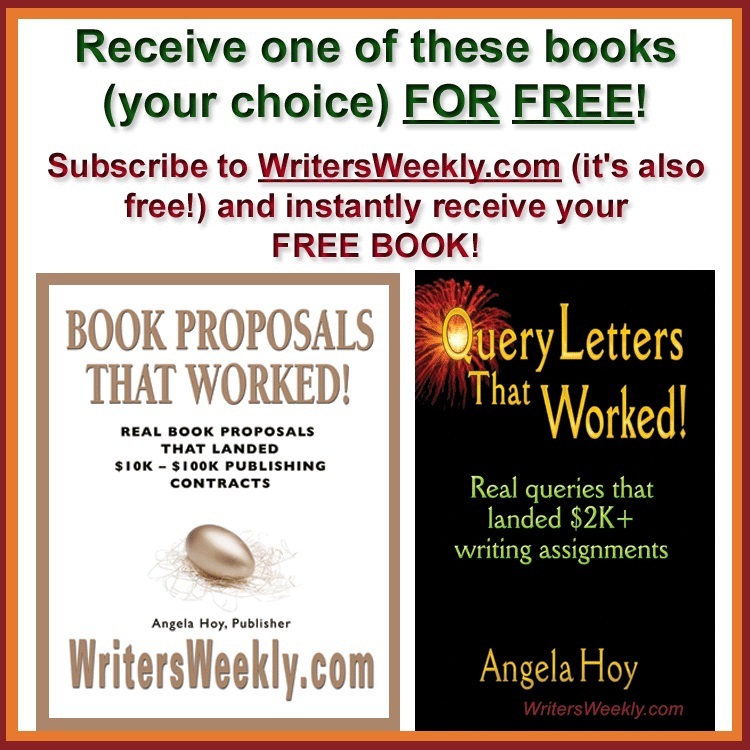 Also order the companion “Author’s Workbook.” This author has a very substantial platform with regard to this and her other writing/publishing-related books and these books have a definite purpose.